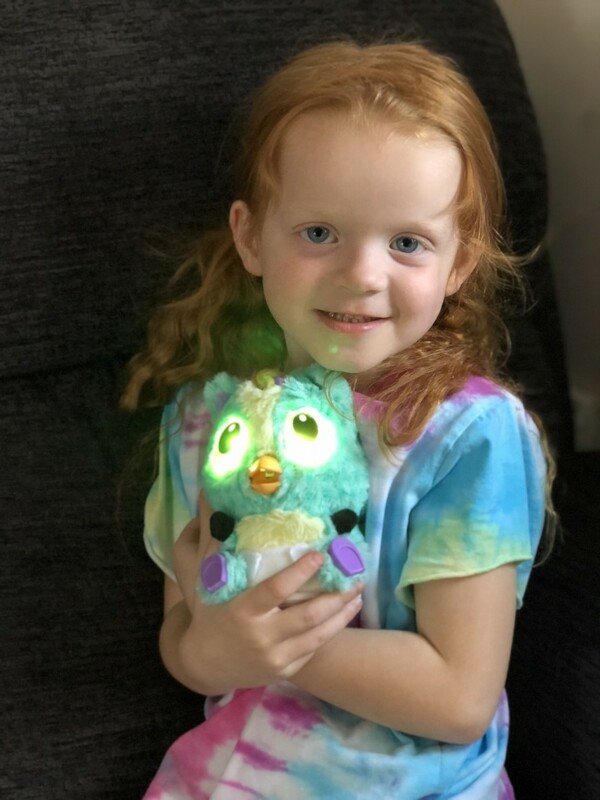 I don’t think there has been a toy that has caused more excitement than Hatchimals. They are awesome and now, they are expanding their family. 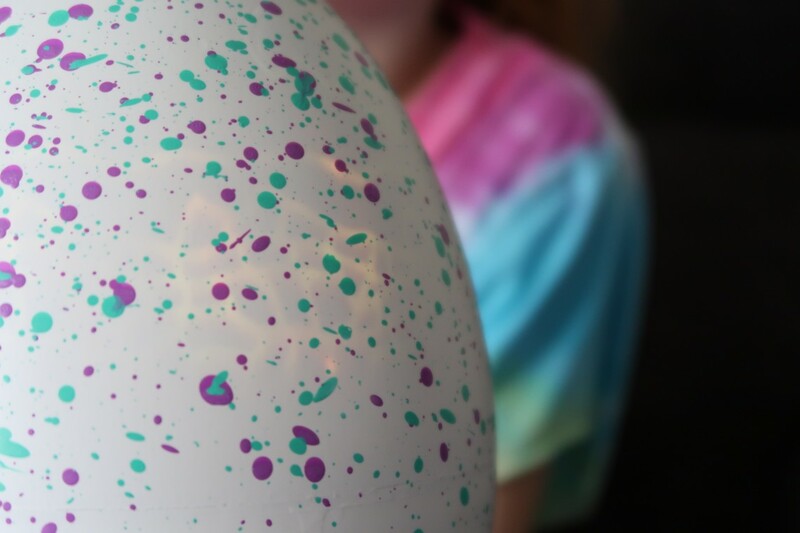 Are you ready to meet the new Hatchimals HatchiBabies? 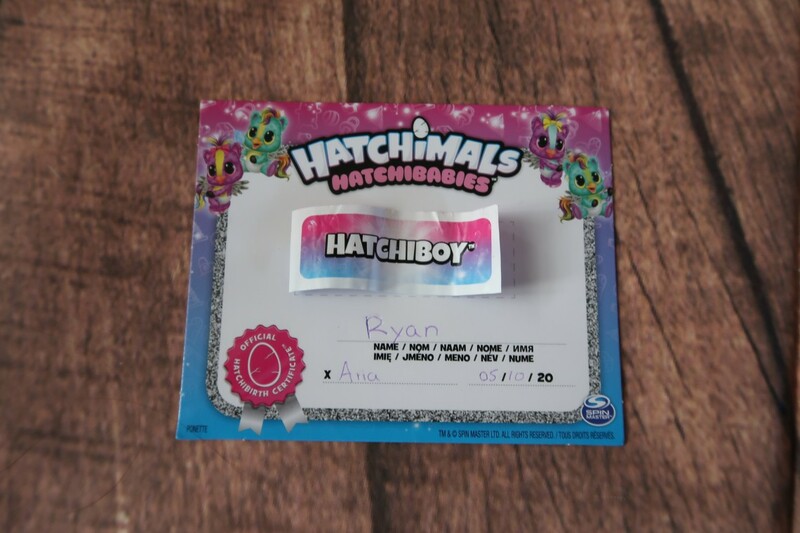 One of the most exciting things about the new HatchiBabies is that you can hatch a HatchiGirl or a HatchiBoy. Which one will it be? As you can see Aria was very excited and she was team boy. 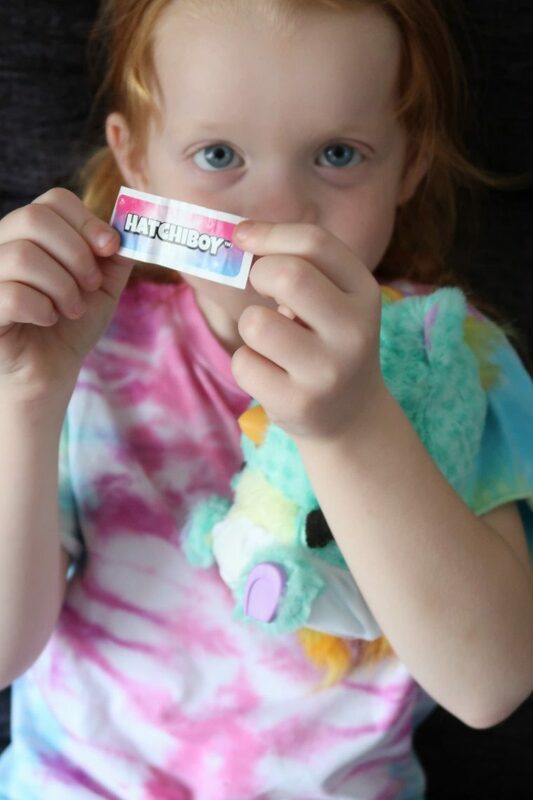 She really wanted a little boy HatchiBaby. Will she get her wish? 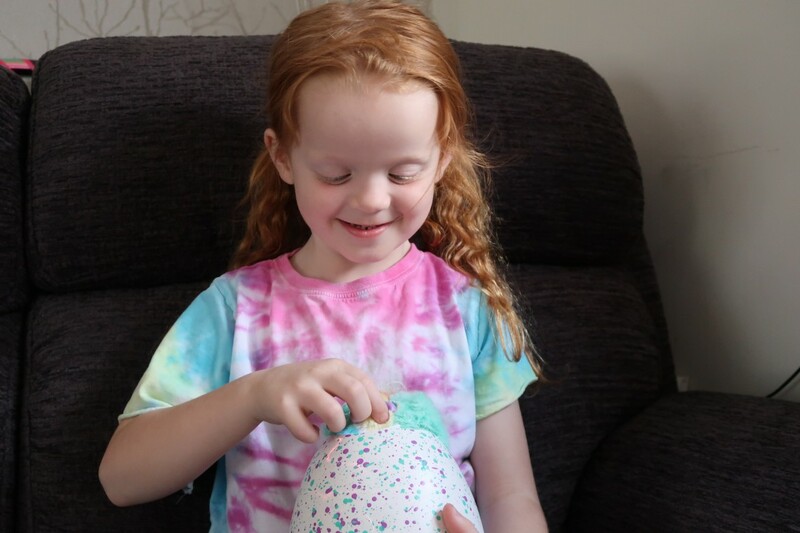 You don’t know what it will be until your baby is hatched, it really is very exciting. 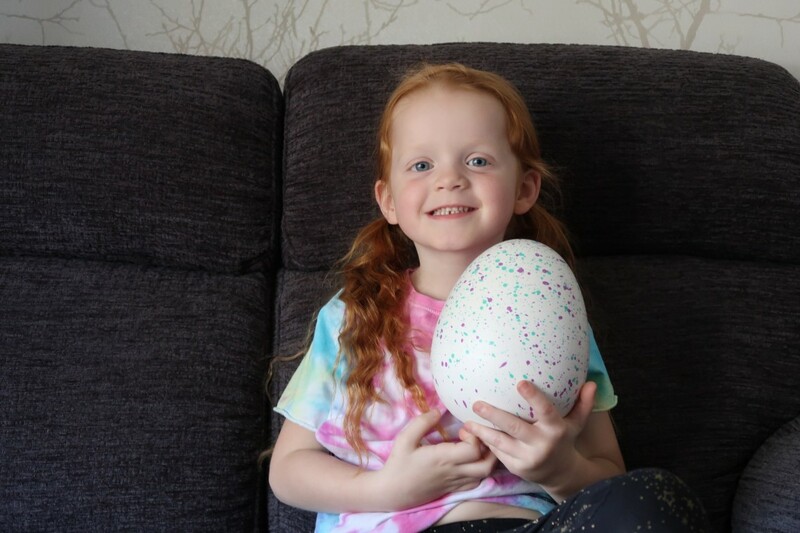 Remember though, you can only hatch your Hatchimal once. Don’t worry, it won’t hatch without you. 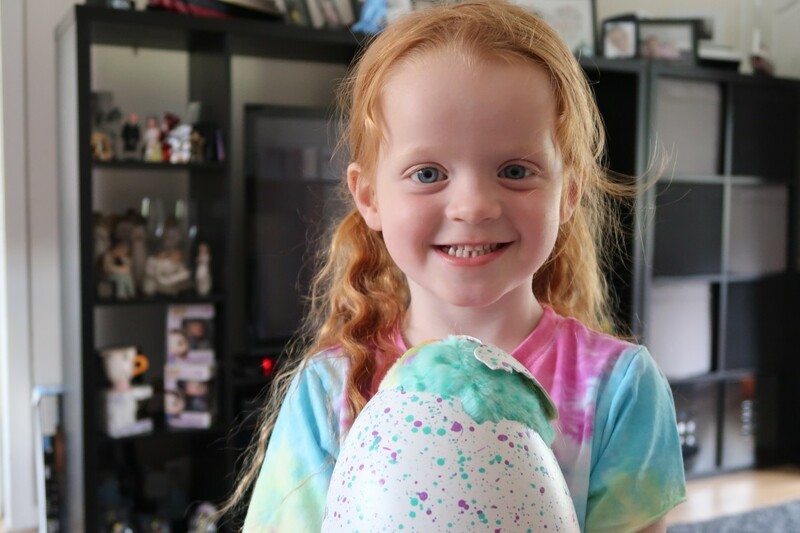 If you need to stop the hatching process all you have to do is hold your egg upside down for around 25 seconds. Make sure when you take your HatchiBabies egg from the box, you remove the plastic locks at the bottom. For your egg to hatch, you have to nurture your egg, just like you any mummy or daddy would. Care for your egg and it will tell you if it needs something or wants a hug. This is done through the colour of its eyes. 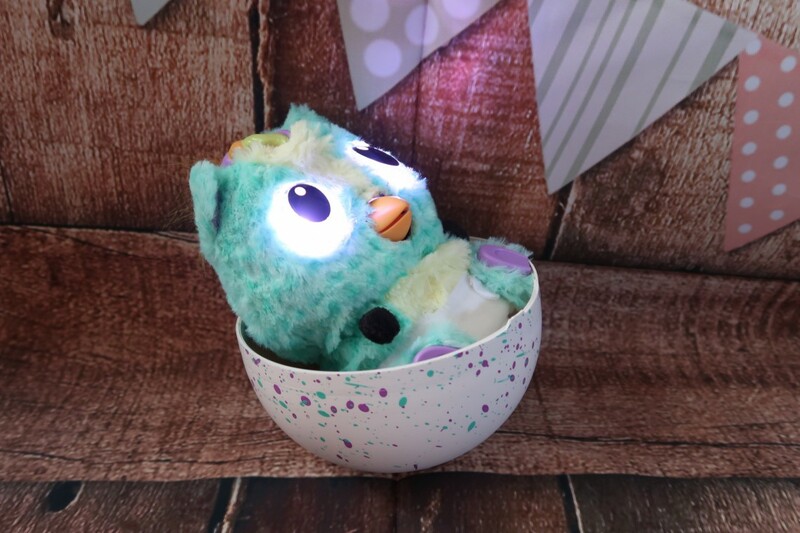 You can see the different lights in the middle of the egg, these are the HatchiBabies eyes. To interact you need to rub, tilt, tap, rock, etc to make your HatchiBaby feel loved and want to hatch into the world. 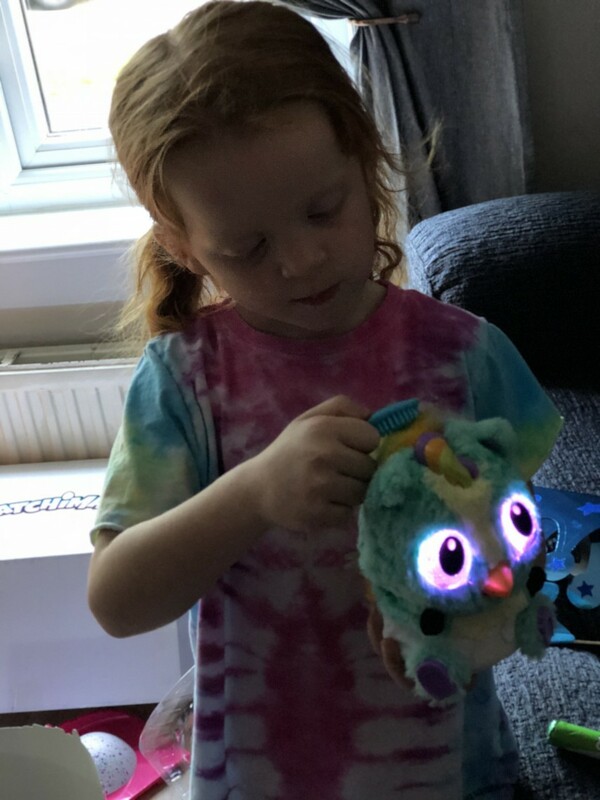 It is so cute, it makes lots of different wee noises, sings little tunes and even snores. It is adorable. Here is a note of the eye colours, although there is a list on the instructions when you open the box. Best to keep it safe. Red means Upset and you need to rock the egg or rub the bottom. White means sleepy. To put to sleep tilt sideways and rock the egg. To wake up put the egg down, remove your hands and then pick the egg back up. Pink means you can listen to the heartbeat, hold the egg still and listen. Eyes turned off means that it is listening, tap on the egg. When the eyes turn to Rainbow, the most exciting thing happens. 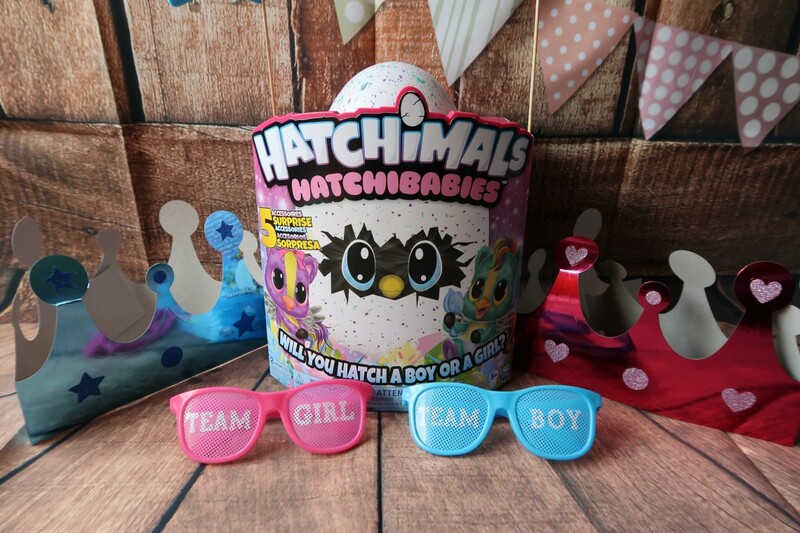 Your HatchiBaby is ready to hatch. Will it be a HatchiBoy or HatchiGirl? What do you think? I cannot tell you how excited we were when we started to see our adorable little HatchiBaby poke its little head out through its egg. It is soooooo cool. 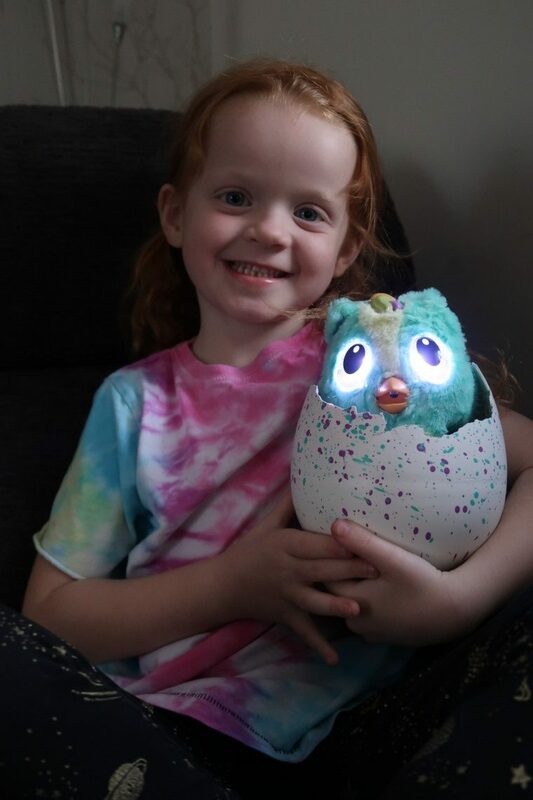 I really didn’t know how it would happen and it’s so much easier than previous Hatchimals we’ve had. Just look at that little bundle of fluff. When hatching you should rub the bottom of the egg and if it stops and you hear tapping, tap back on the egg. Soon you will see your HatchiBabie come to life. Meet our HatchiBabies. Isn’t he or she cute? We don’t quite know what it is yet. 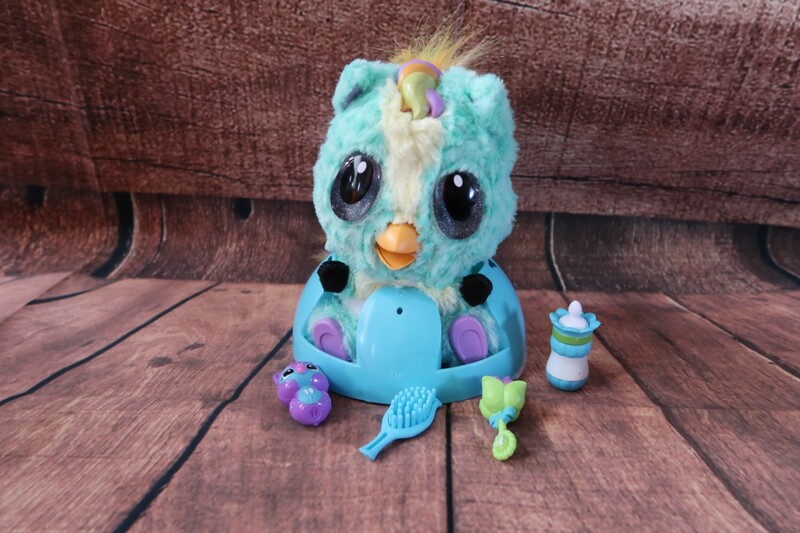 The Hatchimals Hatchibabies in two main species which are Ponette and Cheetree. Our one here is a Ponette! But, there are other species you will find in exclusive to different stores. They are Chipadee, Monkiwi and Koalabee. When you HatchiBabies has finished hatching it will sing the cutest song “Hatchy Birthday”. Honestly, it will bring a tear to your eye. Next, you want to remove the extra eggshell pieces and remove your HatchiBaby from its egg. Keep the base intact though as it has some extra surprises. Inside the base, you will be greeted with this. The part in the middle is where you find out the type of HatchiBaby you have and whether you hatched a HatchiBoy or a HatchiGirl. 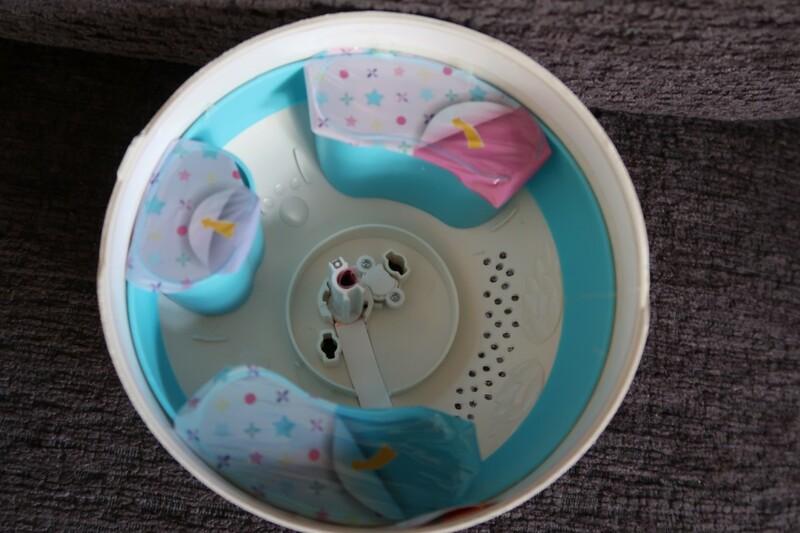 There are also three secret compartments which hold accessories for extra fun with your HatchiBabies. There are a bottle, rattle, brush and a cuddle buddy. Plus, the blue part you see turns into a high chair and the egg base can be used as a nest, bed. It’s a HatchiBoy. 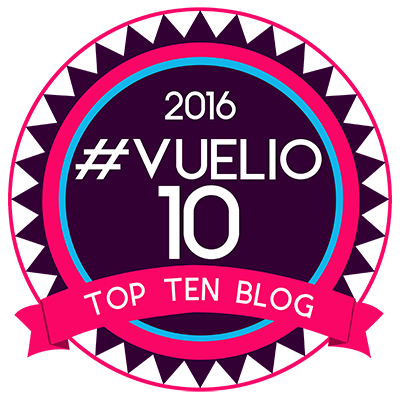 How very exciting. 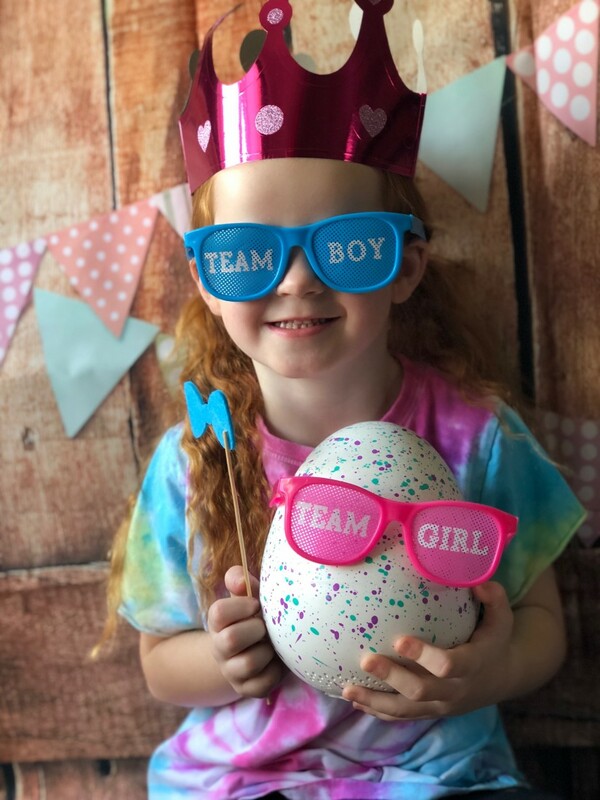 Aria is over the moon that her HatchiBaby is a boy. Just what she wanted and she filled in his birth certificate. Meet Ryan the Ponette HatchiBaby. Isn’t he cute? I love that they have made the egg part of the play fun too. It really is a nice addition and the accessories are fun, really bringing the action to life. For the HatchiBabies to use the accessories, you need to place some of the items a certain way. For the rattle and the cuddle toy, there is an H on the front. This needs to be placed against the HatchiBabies chest with the H facing you. 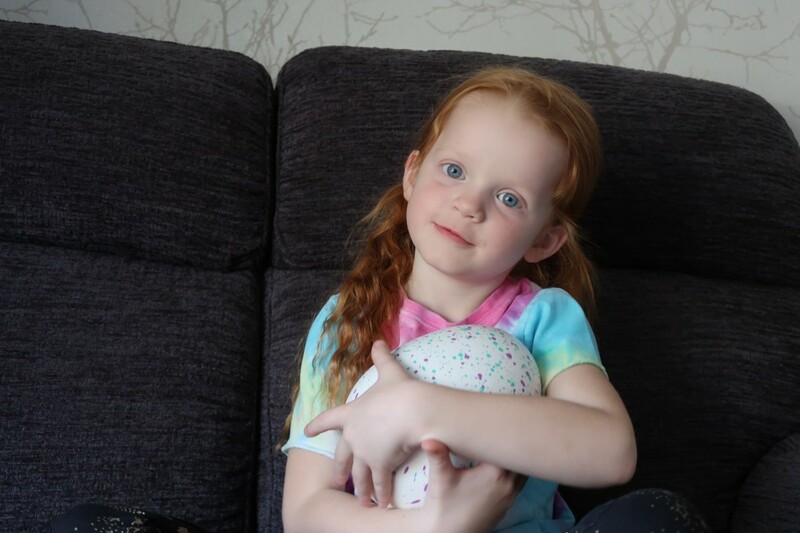 With the rattle, it plays the most adorable song and one you want help smile with. To use the bottle, place it in the HatchiBabies mouth and press down on the lower beak to feed. If you feed it too much, its eyes will change colour and you will need to wind it. Hold it upright and pat the back of its head to burp it. Aria really enjoys brushing her HatchiBoy’s hair. He seems to enjoy it too. HatchiBabies have various different sensors; the forehead, the back of the head, the lower beak, the top centre of the chest, left foot and right foot. There’s also a tilt sensor. After two minutes of no interaction, your HatchiBaby will snore and fall asleep. Don’t worry you can wake him up by touching the forehead sensor. 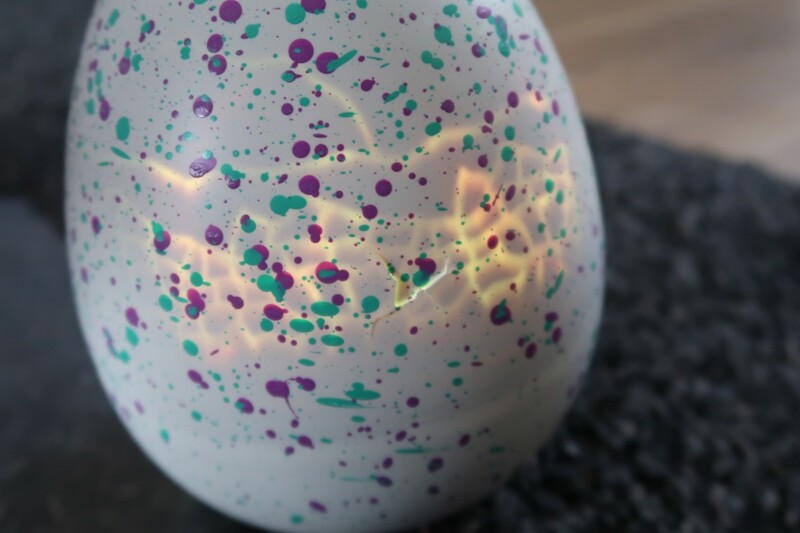 Inside the egg, there is a set of wings embossed into the plastic. You match up your HatchiBabies wings with the wings in the egg and when you place him in his egg he will rock and play. And boy, does he rock. 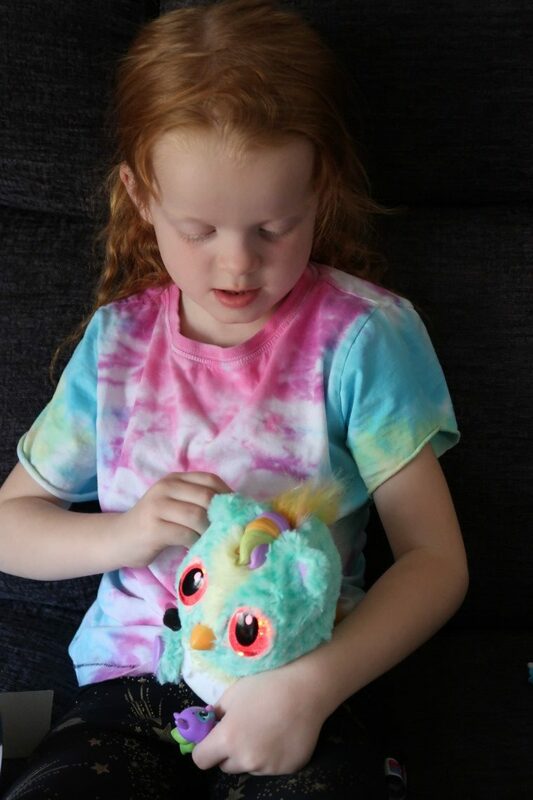 There are lots of different ways to interact with your HatchiBabies, there’s a fun tickle time, you can cuddle, feed or play with him. Their eyes change colour depending on what they’d like to do. Here’s a list of their eye colour meanings when hatched, these too are on the sheet. Red means Upset and you need to put the Hatchibaby in the egg base for a timeout or pet it. Green means sick, touch and hold the forehead to take its temperature and pet to comfort it. White means sleepy. Put in the egg base for a nap or give it the cuddle buddy. HatchiBabies have lots of other activities too, you can play Peek-a-boo by covering his eyes and removing them. Or you can record your own voice by holding its feet and it will repeat what you’ve said. Bouncing baby is one of our favourites when its eyes flash blue, you touch and hold its right foot for 3 seconds to go into this mode. Bounce your HatchiBaby back and forth while the music plays, but stop when it stops. You win by getting 3 in a row. Then there are animal colours. 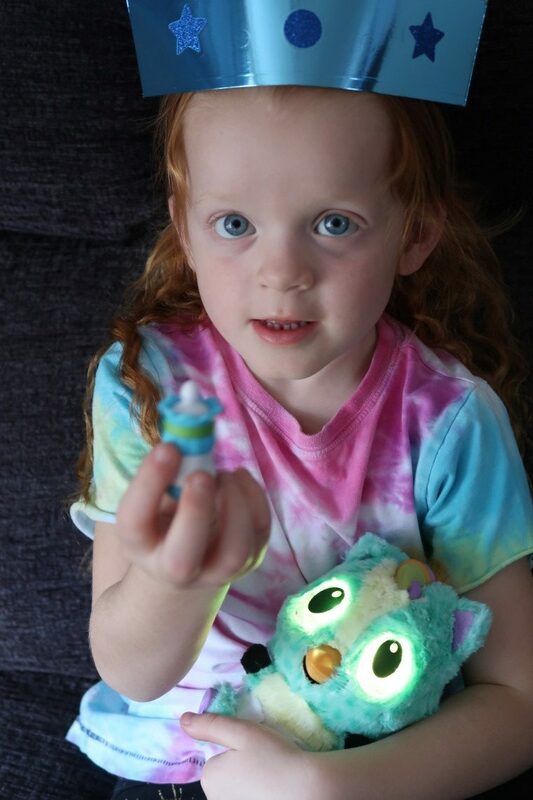 Your HatchiBaby will make the noises of animals and change eye colour, it is very cute. You touch and hold the left foot for 3 seconds to enter this. The most exciting part is that each HatchiBabies species has its own secret trick. 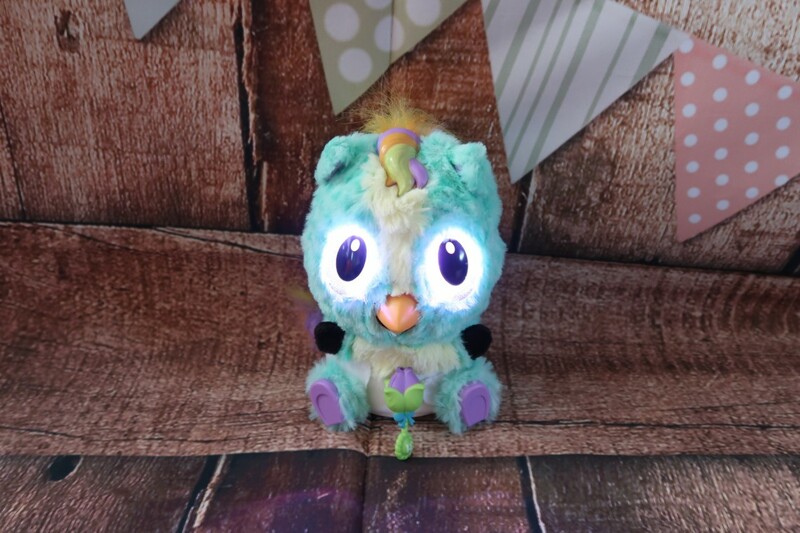 To find out what yours is, touch and hold the back of the HatchiBabies head until the eyes turn purple colour and then tap the back of the head and forehead sensor twice at the same time. Our HatchiBabies trick was to play a pony tune which was super cute. What does yours do? Let me know below. 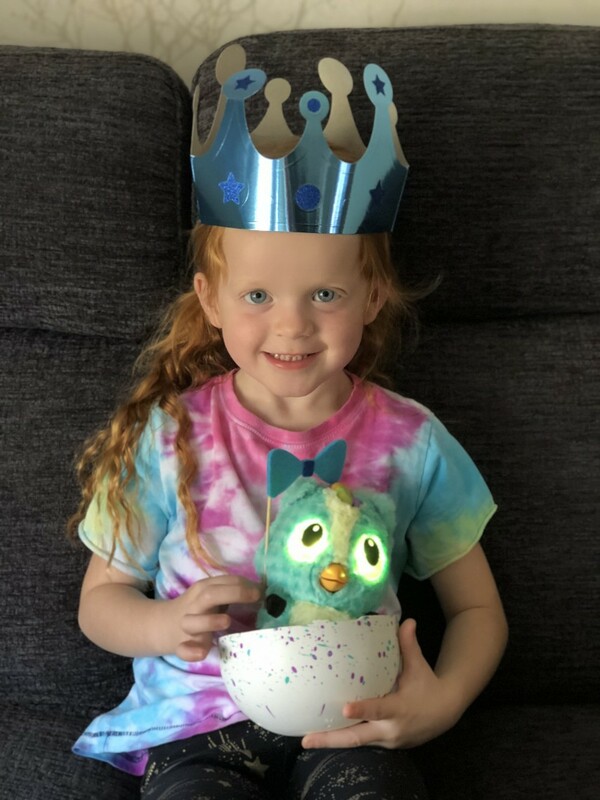 Disclaimer:- We were sent this Hatchimal for the purpose of this review, but all thoughts and opinions are my own. I absolutely love it. What an exciting toy, how much fun for Aria. I didn’t realise how good these actually are. My Zac needs to put this on his Christmas list, so I can enjoy it.